Pajco Spiral Menu Covers can hold up to 24 menu insert pages. 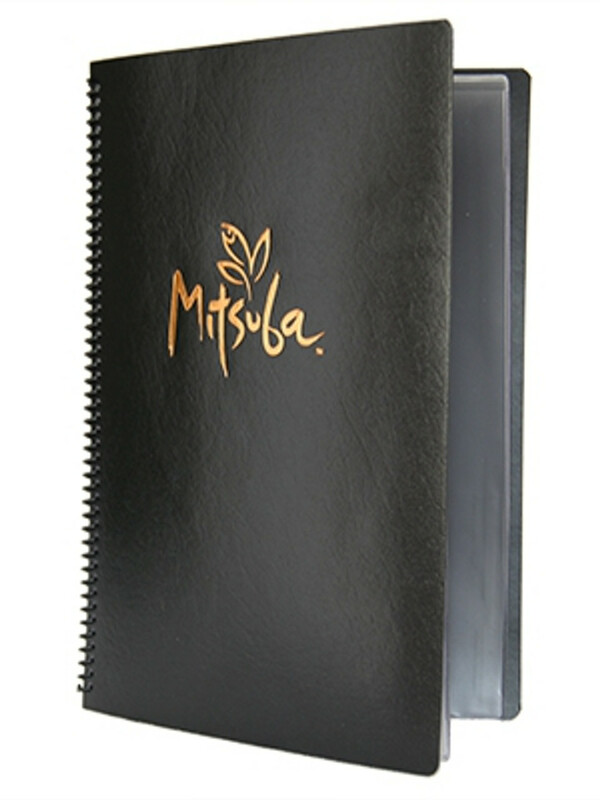 Semi-flexible vinyl material for the front and back cover with clear vinyl pockets inside to hold menu pages. May be foil stamped or blind debossed with your custom artwork. Add up to 12 clear vinyl pockets for 24 viewing sides.